It’s now been a year since Driver CPC became compulsory for all professionals drivers. Since then, drivers and operators have spoken about the benefits they’ve got from Driver CPC. Some drivers say it’s helped them to improve their knowledge and made them safer drivers, others claim that it’s made them more employable. Drivers and operators have also mentioned that they’ve seen lower incident rates and saved money on fuel thanks to drivers taking courses in defensive or eco-safe driving. It’s important that all drivers make the most of their training. We know that everyone will have different needs and priorities depending on their circumstances, but here are some general tips on how to get the most out of Driver CPC. When choosing a course, pick one that’s relevant to you and the type of driving you do. There’s a huge range of courses available so why not use this as a chance to develop new skills and knowledge. You can take the same course more than once in each 5-year period, but it’s worth asking yourself if this is really going to help your development. You can find information about Driver CPC courses that are available in your area on GOV.UK. Remember - only approved Driver CPC courses count towards your periodic training and different courses cover different parts of the Driver CPC syllabus. The vast majority of courses available are of good quality and are delivered by knowledgeable and experienced trainers. However, we take any reports of below-standard courses extremely seriously. If you have any concerns about a course that you’ve attended then please contact DCPC_CC@dsa.gsi.gov.uk. If we find that a course isn’t being delivered compliantly or to the standard that we'd expect then we’ll take appropriate action. This could result in withdrawing a training centre’s approval. We suggest trying a one day a year approach to your training. This will help you to maximise your professional development and any financial and operational incentives to your business. By incorporating the training into your ongoing programme of professional development - spreading it evenly over the 5 years – you could start experiencing the benefits such as lower fuel costs straight away. Last year there were calls for Driver CPC training courses about vulnerable road users (such as motorcyclists, pedestrians and cyclists) to be made mandatory for all professional drivers. In response we’re encouraging course providers to cover vulnerable road users in courses where possible. We've now brought together information about Driver CPC training for qualified drivers into a new guide to make things easier to find. Is there any particular course that you have found useful? How have you benefited from it? Please let us know in the comments. 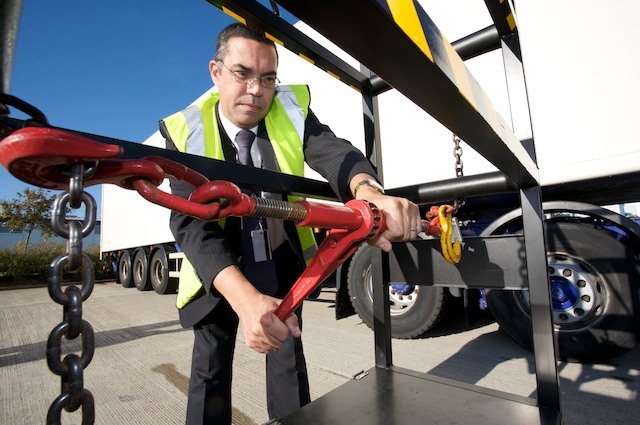 Having driven over 1,500,000 miles for over 50 UK companies, I can not envisage what knowledge I would gain from being re-taught little parts of that which I have already been doing for over 40 years as an HGV class 1 driver. I have also been driving HGV 1 for over 40 years in countries all around the world and the one thing I have found out is that the more you learn about driving the more you realise you don't know, add to that the ever changing vehicle technology and the knowledge to be able to get the best out of the vehicle at all times, sounds like you need some training? Do you realise how much people that have to pay for this rubbish themselves resent it. It cost me hundreds of pounds, it doesn't entitle me to do anything I couldn't do before and after 25 years in the business I didn't really learn anything new. What the hell is CPC after reading this page I have no idea if this is something I have to participate in, whether it is a compulsory scheme that as a driving instructor I have to complete one course a year over 5 years? Whoever is writing this blog needs to learn how to communicate. Who is this item aimed at, why should I be interested in it,what is the purpose or benefit of taking part. Please allow me to unsubscribe. My efforts do not succeed.